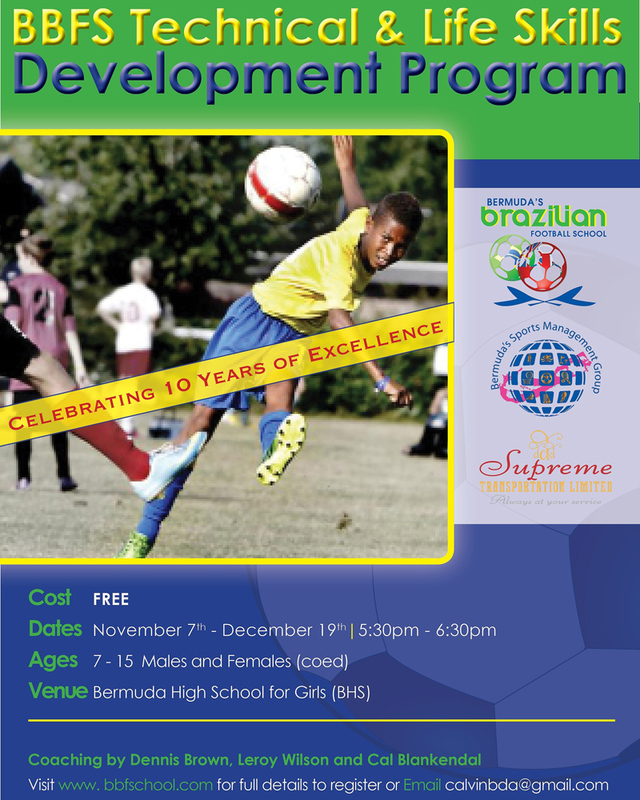 Bermuda’s Brazilian Football School [BBFS] is getting set to hold a free Technical and Life Skills Development Program from Tuesday, November 14 to December 19 from 5.30pm to 6.30pm at Bermuda High School for Girls [BHS]. “All we ask is that you attend each session, be on time and work hard. Space is limited, as we will be focusing more on quality than quantity. To register click here or visit bbfschool.com.